Alevism or Alevi (/'ælɛvij/, also /æˈlɛviː/ or /əˈleɪviː/,  tariqa,. Alevism is seen as one of the two main branches of Islam in Turkey, the other being Sunni Islam. Some sources link Alevism to  sufi group known as the Bektashi Order. According to these sources, Alevism is closely related to Bektashism: commonalities include the veneration of the Alevi saint Haji Bektash Veli, a Turkish or Iranian saint from Khorasan (modern-day Iran) of the 13th century. Many Alevis refer to an "Alevi-Bektashi" tradition, but this identity is not universally adopted, nor is the combined name used by non-Turkish Bektashis (e.g., in the Balkans). In addition to its religious aspect, Alevism is also closely associated with Anatolian folk culture. Dhu al-Fiqar, a fictional representation of the sword of Ali. Alevis follow the bāṭenī (mystical) teachings of Muhammad, the Quran, his Ahl al-Bayt, The Twelve Imams and their descendant Alevi saint and sufi master Haji Bektash Veli. For this reason it's also referred to as Shīʿah-ee Bāṭen’īyyah. Most of the believers live in Turkey, with some scattered minorities in Bulgaria, Cyprus, the Caucasus, Greece, Iran and the Turkish Diaspora. According to The President of the Islamic-Alevi Religious Services Dede (religious figure) İzzettin Doğan, "Alevism" is nothing but a tasawwufī-bāṭenī interpretation (tafsir) of Islam. "Alevi" is generally explained as referring to Ali, the cousin and son-in-law of Muhammad. 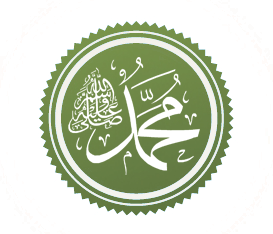 The name represents a Turkish form of the word ‘Alawi (Arabic: علوي‎) "of or pertaining to Ali". According to Ishikists' assertion, on the other hand, it was derived from "Alev" ("flame" in Turkish) in reference to fire which is extensively used in Alevi rituals. However, traditional Islamic Alevi's claim that the name Alevi is linked to Ali, just like the word Musevi is linked to Musa (Moses), Isevi is linked to Isa (Jesus) and Mevlevi is linked to Mevlana (Rumi). According to them the use of candles is based on Quran chapter 24, verses 35 and 36: "God is the Light of the heavens and the earth. The example of His light is like a niche within which there is a lamp, the lamp is encased in a glass, the glass is like a radiant planet, which is lit from a blessed olive tree that is neither of the east nor of the west, its oil nearly gives off light even if not touched by fire. Light upon light, God guides to His light whom He pleases. And God sets forth examples for the people, and God is aware of all things. (Lit is such a Light) in houses, which God has permitted to be raised to honour; for the celebration, in them, of His name: In them is He glorified in the mornings and in the evenings, (again and again)." Even though the term Alevi is thought to be simply the Turkish derived form of Arabic ‘Alawī, the Arab form of the term today refers to the distinct group of the Arabic-speaking Alawites of Syria. Asādʿullāh : Nickname given by Muhammad to describe his kinsman Ali. 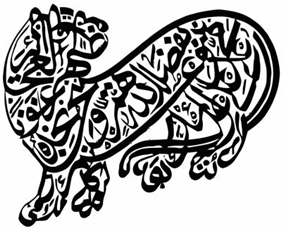 Asadullah means "Lion of Allah", which is also well known as "Ismāʿīlī Lion". Alevism, Bektashism and Sufism consider Ali as the holder of the divine secrets and esoteric meaning of Islam, transmitted to him by Muhammad. "I am the city of knowledge, Ali is its gate." - Muhammad. Alevi used to be grouped as Kızılbaş ("redheads"), a generic term used by Sunni Muslims in the Ottoman Empire for the various Shia sects from the 15th century. Many other names exist (often for subgroupings), among them Tahtacı "Woodcutters", Abdal "Bards" and Çepni. In Turkey, Shia Muslim people belong to the Jafari Islamic school, which tracks back to the sixth Shia Imam Jafar al-Sadiq (also known as Imam Jafar-i Sadiq), are called as the Ja'farīs, who belong to Twelver Shia. Although the Alevi Turks are being considered as a part of Twelver Shia Islam, they are different than the Jafarī Muslims in their convictions and beliefs. "The Alevi-Turks" has a unique and perplex conviction tracing back to Kaysanites and Khurramites which are being considered as Ghulat Shia Islam. According to Turkish scholar Abdülbaki Gölpinarli, the Qizilbash (Red-Heads) of the 16th century - a religious and political movement in Azerbaijan that helped to establish the Safavid dynasty - were spiritual descendants of the Khurramites. Among the members of the "Qizilbash-Tariqa" who are considered as a sub-sect of the Alevis, two figures firstly Abu Muslim Khorasani, who assisted Abbasid Caliphate to beat the Umayyad Caliphate but later eliminated and murdered by Caliph Al-Mansur and secondly Babak Khorramdin who incited a rebellion against Abbasid Caliphate and consequently was killed by Caliph al-Mu'tasim, are highly respected. This belief provides strong clues about their Kaysanites Shia and Khurramites origins. In addition, Safaviyya Tariqa leader Shāh Ismāʿīl is a highly regarded individual in the belief of Alevi-Qizilbash-Tariqa associating them with the Imamah (Shia Twelver doctrine) conviction of Twelver Shia Islam. Their aqidah (theological conviction) is based upon a syncretic fiqh system called as Batiniyya-Sufism/Ismailism which incorporates some sentiments of Sevener-Qarmatians, originally introduced by Abu’l-Khāttāb Muhammad ibn Abu Zaynab al-Asadī, and later developed by "Maymun al-Qāddāh" and his son "ʿAbd Allāh ibn Maymun", and Mu'tazila with a strong belief in The Twelve Imams. Some beliefs of Shamanism still are common amongst the Qizilbash-Alevi-Turks in villages. On the other hand, Bektashis has a conviction of Batiniyya Ismailism and Hurufism with a strong belief in the The Twelve Imams. In conclusion, Qizilbash-Alevi-Bektashis are not the followers of Ja'fari jurisprudence, even though they can be considered as members of different Shia-Tariqat all looks like sub-classes of Twelver-Shia Islam. Their conviction includes Batiniyya-Hurufism and Qarmatian-Isma'ilism sentiments. They all may be considered as special groups not following the Ja'fari jurisprudence, like Nusayris (Alawites) who are in the class of Ghulat Twelver Shia Islam, but a special Batiniyya belief somewhat similar to Isma'ilism in their conviction. Alevi beliefs are hard to define, since Aleviness is a diverse movement without any central authority, and its boundaries with other groups are poorly demarcated. Many teachings are based on an orally transmitted tradition which has generally been kept secret from outsiders (but is now widely accessible). The basis for Aleviness's most distinctive beliefs is found in the Buyruks (compiled writings and dialogues of Sheikh Safi-ad-din Ardabili (eponym of the Safavi order), Ja'far al-Sadiq (the Sixth Imam), and other worthies). Also included are hymns (nefes) by figures such as Shah Ismail or Pir Sultan Abdal, stories of Hajji Bektash and other lore. "Alevi-Bektashis acknowledge they are from Ahl al Kitab" by stating that the last four holy books (Quran, Gospel, Torah and Psalms) has the same degree of importance in guiding people to the Divine Truth. This confession is pronounced in Turkish: "Dört kitab'ın Dördü de "Hâkk""
Four valid books in Islam, namely Psalms, Torah, Gospel, and Qu'ran are all the "Righteous"
Quran Surah 2 verse 136 : Says: "We believe in Allah, and in that which has been sent down on us and sent down on Abraham, Ishmael, Isaac and Jacob, and the Tribes, and that which was given to Moses and Jesus and the Prophets, of their Lord; we make no division between any of them, and to Him we surrender". Alevis believe in the unity of Allah, Muhammad, and Ali, but this is not a trinity composed of God and the historical figures of Muhammad and Ali. Rather, Muhammad and Ali are representations of Allahs light (and not of Allah himself), being neither independent from God, nor separate charactestics of Him. 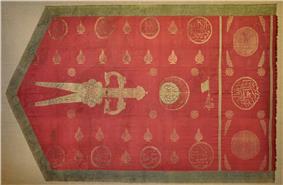 A representation of the sword of Ali, the Zulfiqar in an Ottoman emblem. The phrase "For the love of God-Muhammad-Ali" (Hakk-Muhammed-Ali aşkına) is common to several Alevi prayers. For some, the linking of the three together seems polytheistic and not in line with monotheistic Islamic teachings, but Alevis counter that such people do not understand The bāṭenī meaning of the Alevi equation of Allah-Muhammed-Ali. The Twelve Imams is another common Alevi belief. Each Imam represents a different aspect of the Universe and are realised as twelve services or On İki Hizmet which are performed by members of the Alevi community. Each Imam is believed to be a reflection of Ali ibn Abu Talib, the first Imam of the Shi'ites, thus we find references to the "First Ali" (Birinci Ali), Imam Hasan the "Second 'Ali" (İkinci Ali), and so on up to the "Twelfth 'Ali" (Onikinci Ali), Imam Mehdi. The Twelfth Imam is hidden and represents the Messianic Age. There are two sides to creation, one goes from a spiritual centre to plurality, the other goes from plurality to the spiritual centre. Plurality is the separation of pure consciousness from the divine source. It is seen as a curtain alienating creation from the divine source, and an illusion which in Aleviness is called the Zāherī or the Exoteric side to reality. The hidden or true nature of creation is called the bāṭenī or the esoteric. "All of us alive or lifeless are from one, this is ineffable, Sultan. For to love and to fall in love has been my fate from time immemorial." This is sung as a reminder that the reason for creation is love, so that the followers may know themselves and each other and that they may love that which they know. 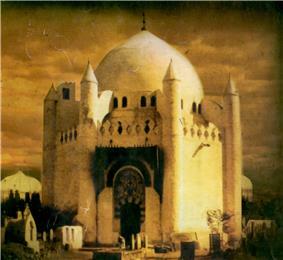 The Ja'far al-Sadiq's historical tomb of Al-Baqi' before being destroyed in 1926. Linked to the concept of the Prototypal Human is that of the "Perfect Human Being" (Insan-i Kamil). Although it is common to refer to Ali and Haji Bektash Veli or the other Alevi saints as manifestations of the perfect human being, the Perfect Human Being is also identified with our true identity as pure consciousness, hence the Qur'anic concept of human beings not having original sin, consciousness being pure and perfect. The human task is to fully realise this state while still in material human form. The Perfect Human Being is also defined in practical terms, as one who is in full moral control of his or her hands, tongue and loins (eline diline beline sahip); treats all kinds of people equally (yetmiş iki millete aynı gözle bakar); and serves the interests of others. One who has achieved this kind of enlightenment is also called "eren" or "münevver" (mūnavvar). Sheikh Safi-ad-din Ardabili Khānegāh and Shrine Ensemble. The Alevi spiritual path (yol) is commonly understood to take place through four major life-stages, or "gates". These may be further subdivided into "four gates, forty levels" (Dört Kapı Kırk Makam). The first gate (religious law) is considered elementary (and this may be perceived as subtle criticism of other Muslim traditions). Most Alevi activity takes place in the context of the second gate (spiritual brotherhood), during which one submits to a living spiritual guide (dede, pir, mürşid). 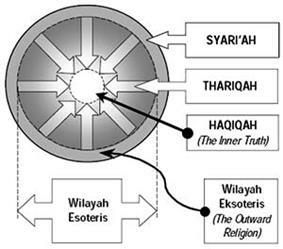 The existence of the third and fourth gates is mostly theoretical, though some older Alevis have apparently received initiation into the third. The central Alevi corporate worship service is the Cem ceremony. Alevi worship and other social activities take place in assembly houses (Cemevi). The ceremony's supposed prototype is the Muhammad's nocturnal ascent into heaven, where he beheld a gathering of forty saints (Kırklar Meclisi), and the Divine Reality made manifest in their leader, Ali. The Cem ceremony features music, singing, and dancing (Samāh) in which both women and men participate. Rituals are performed in Turkish, Zazaki, Kurmanji and other local languages. God loves and created them all, so don't say anything against them." A family of ritual dances characterized by turning and swirling, is an inseparable part of any cem. Samāh is performed by men and women together, to the accompaniment of the Bağlama. The dances symbolize (for example) the revolution of the planets around the Sun (by man and woman turning in circles), and the putting off of one’s self and uniting with God. The Rite of Integration (görgü cemi) is a complex ritual occasion in which a variety of tasks are allotted to incumbents bound together by extrafamilial brotherhood (müsahiplik), who undertake a dramatization of unity and integration under the direction of the spiritual leader (dede). At the closing of the cem ceremony the Dede who leads the ceremony engages the participants in a discussion (chat), this discussion is called a sohbet. There are twelve services (Turkish: On İki hizmet) performed by attendees of the cem. Dede : This is the leader of the Cem who represents Muhammad and Ali. The Dede receives confession from the attendees at the beginning of the ceremony. He also leads funerals, Müsahiplik, marriage ceremonies and circumcisions. The status of Dede is hereditary and he must be a descendant of Ali and Fatima. Rehber : This position represents Husayn. The Rehber is a guide to the faithful and works closely with the Dede in the community. Gözcü : This position represents Abu Dharr al-Ghifari. S/he is the assistant to the Rehber. S/he is the Cem keeper responsible for keeping the faithful calm. Çerağcı : This position represents Jabir ibn Abd-Allah and s/he is the light-keeper responsible for maintaining the light traditionally given by a lamp or candles. Zakir : This position represents Bilal ibn al-Harith. S/he plays the bağlama and recites songs and prayers. Süpürgeci : This position represents Salman the Persian. S/he is responsible for cleaning the Cemevi hall and symbolically sweeping the carpets during the Cem. Meydancı: This position represents Hudhayfah ibn al-Yaman. Niyazcı: this position represents Muhammad ibn Maslamah. S/he is responsible for distributing the sacred meal. İbrikçi: this position represents Kamber. S/he is responsible for washing the hands of the attendees. Kapıcı: this position represents Ghulam Kaysan. S/he is responsible for calling the faithful to the Cem. Peyikçi: this position represents Amri Ayyari. 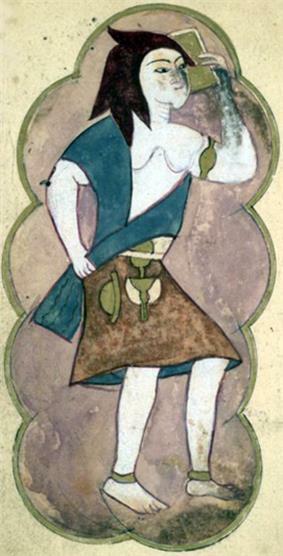 Sakacı : represents Ammar ibn Yasir. Responsible for the distribution of water, sherbet (sharbat), milk etc..
10th of Muharrem - The Day of Ashura: Huseyn bin Ali was murdered at Kerbela. 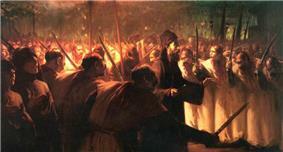 Mourning of Muharram and the remembrance of this event by Jafaris, Alevis and Bektashis together in Ottoman Empire. Painted by Fausto Zonaro. Newruz "New Day" is the Persian New Year observed on 21 March (the Spring equinox) as a celebration of newness and reconciliation. It is celebrated by many modern Turkic peoples as well. Apart from the original beliefs of the Zoroastrians regarding the New Year, Alevis also celebrate and commemorate the birth of Ali, his wedding with Fatima, the rescue of Yusuf from the well, and the creation of the world on this day. Various cem ceremonies and special programs are held. The grave of Husayn at Karbala. 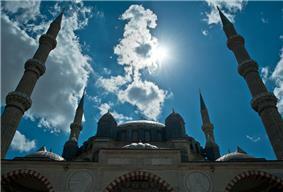 The Muslim month of Muharram begins 20 days after Eid ul-Adha (Kurban Bayramı). Alevis observe a fast for the first twelve days. This is called "Turkish: Muharrem Mâtemi", "Turkish: Yâs-ı Muharrem" or "Turkish: Mâtem Orucu" (Mourning of Muharram). This culminates in the festival of Ashura (Aşure), which commemorates the martyrdom of Husayn at Karbala. The fast is broken with a special dish (also called aşure) prepared from a variety (often twelve) of fruits, nuts, and grains. Many events are associated with this celebration, including the salvation of Husayn's son Ali ibn Husayn from the massacre at Karbala, thus allowing the bloodline of the family of Muhammad to continue. The solstice and equinox celebrations and their confusion with historical and human incarnations are very well mirrored in Christian religious, and even political, celebrations, e.g. May Day and Christmas, and more closely still with Celtic traditions. 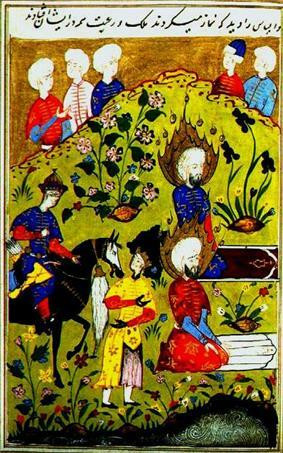 A Persian miniature depicting Elijah and al-Khiḍr (A miniature version of Stories of the Prophets). White, Paul J. (2003), "The Debate on the Identity of ‘Alevi Kurds’." In: Paul J. White/Joost Jongerden (eds.) Turkey’s Alevi Enigma: A Comprehensive Overview. Leiden: Brill, pp. 17–32. Brown, John P. (1868), The Dervishes; or, Oriental Spiritualism. Shankland, David (1994). "Social Change and Culture: Responses to Modernization in an Alevi Village in Anatolia. "In C.N. Hann, ed., When History Accelerates: Essays on Rapid Social Change, Complexity, and Creativity. London: Athlone Press. Koçan, Gürcan/Öncü, Ahmet (2004) "Citizen Alevi in Turkey: Beyond Confirmation and Denial." Journal of Historical Sociology, 17/4, pp. 464–489. Stokes, Martin (1996). "Ritual, Identity and the State: An Alevi (Shi’a) Cem Ceremony. "In Kirsten E. Schulze et al. (eds. ), Nationalism, Minorities and Diasporas: Identities and Rights in the Middle East,, pp. 194-196. Geaves, Ron (2003) "Religion and Ethnicity: Community Formation in the British Alevi Community." Koninklijke Brill NV 50, pp. 52– 70. Kosnick, Kira (2004) "‘Speaking in One’s Own Voice’: Representational Strategies of Alevi Turkish Migrants on Open-Access Television in Berlin." Journal of Ethnic and Migration Studies, 30/5, pp. 979-994. Massicard, Elise (2003) "Alevist Movements at Home and Abroad: Mobilization Spaces and Disjunction." New Perspective on Turkey, 28, pp. 163–188. Rigoni, Isabelle (2003) "Alevis in Europe: A Narrow Path towards Visibility." In: Paul J. White/Joost Jongerden (eds.) Turkey’s Alevi Enigma: A Comprehensive Overview, Leiden: Brill, pp. 159–173. Sökefeld, Martin (2002) "Alevi Dedes in the German Diaspora: The Transformation of a Religious Institution." 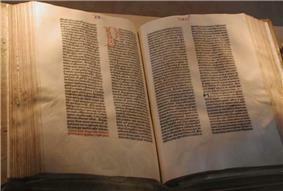 Zeitschrift für Ethnologie, 127, pp. 163–189. Sökefeld, Martin (2004) "Alevis in Germany and the Question of Integration" paper presented at the Conference on the Integration of Immigrants from Turkey in Austria, Germany and Holland, Boğaziçi University, Istanbul, February 27–28, 2004. Sökefeld, Martin & Suzanne Schwalgin (2000). "Institutions and their Agents in Diaspora: A Comparison of Armenians in Athens and Alevis in Germany." Paper presented at the 6th European Association of Social Anthropologist Conference, Krakau. Thomä-Venske, Hanns (1990). "The Religious Life of Muslim in Berlin." In: Thomas Gerholm/Yngve Georg Lithman (eds.) The New Islamic Presence in Western Europe, New York: Mansell, pp. 78–87. Wilpert, Czarina (1990) "Religion and Ethnicity: Orientations, Perceptions and Strategies among Turkish Alevi and Sunni Migrants in Berlin." In: Thomas Gerholm/Yngve Georg Lithman (eds.) The New Islamic Presence in Western Europe. New York: Mansell, pp. 88–106. Zirh, Besim Can (2008) "Euro-Alevis: From Gasterbeiter to Transnational Community." In: Anghel, Gerharz, Rescher and Salzbrunn (eds.) The Making of World Society: Perspectives from Transnational Research. Transcript; 103-130. Vorhoff, Karin. (1998), "Academic and Journalistic Publications on the Alevi and Bektashi of Turkey." In: Tord Olsson/Elizabeth Özdalga/Catharina Raudvere (eds.) Alevi Identity: Cultural, Religious and Social Perspectives, Istanbul: Swedish Research Institute, pp. 23–50. Bilgöl, Hıdır Ali. (1996), Aleviler ve Canlı Fotoğraflar, Alev Yayınları. Dumont, Paul. (1997), "Günümüz Türkiye’sinde Aleviliğin Önemi" içinde Aynayı Yüzüme Ali Göründü Gözüme: Yabancı Araştırmacıların Gözüyle Alevilik, editör: İlhan Cem Erseven. İsntabul: Ant, 141-161. Engin, Havva ve Engin, Ismail (2004). Alevilik. Istanbul: Kitap Yayınevi. Güler, Sabır. (2008), Aleviliğin Siyasal Örgütlenmesi: Modernleşme, Çözülme ve Türkiye Birlik Partisi. Ankara: Dipnot. Kaleli, Lütfü. (2000), "1964-1997 Yılları Arasında Alevi Örgütleri" içinde Aleviler/Alewiten: Kimlik ve Tarih/ Indentität und Geschichte, editörler: İsmail Engin ve Erhard Franz. Hamburg: Deutsches Orient-Institut, 223-241. Kaplan, İsmail. (2000), "Avrupa’daki Alevi Örgütlenmesine Bakış" içinde Aleviler/Alewiten: Kimlik ve Tarih/ Indentität und Geschichte, editörler: İsmail Engin ve Erhard Franz. Hamburg: Deutsches Orient-Institut, 241-260. Okan, Murat. (2004), Türkiye’de Alevilik / Antropolojik Bir Yaklaşım. Ankara: İmge. Saraç, Necdet. (2010), Alevilerin Siyasal Tarihi. İstanbul: Cem. Yaman, Ali (2000) "Anadolu Aleviliği’nde Ocak Sistemi Ve Dedelik Kurumu." Alevi Bektaşi. Zırh, Besim Can. (2005), "Avro-Aleviler: Ziyaretçi İşçilikten Ulus-aşırı Topluluğa" Kırkbudak 2: 31-58. Zırh, Besim Can. (2006), "Avrupa Alevi Konfederasyonu Turgut Öker ile Görüşme" Kırkbudak 2: 51-71. ^ Anadolu Kızılbaşlığı or simply Kızılbaşlık would better represent the majority of their members. ^ "Rumi’s Spiritual Shiism". Retrieved 5 March 2015. ^ a b c d e f g h Radtke, B. "BĀṬEN". 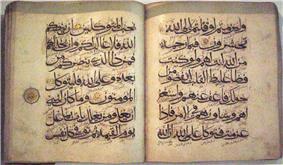 Encyclopedia Iranica. Retrieved 9 July 2014. ^ a b "BEKTĀŠĪYA". Retrieved 5 March 2015. ^ "Excerpts from Baba Rexheb's The Mysticism of Islam & Bektashism - The Bektashi Order of Dervishes". Retrieved 5 March 2015. ^ "ALEVITISME: De vijf zuilen? (met NL ondertiteling)". YouTube. 12 July 2013. Retrieved 5 March 2015. ^ Olsson, Tord; Ozdalga, Elisabeth; Raudvere, Catharina (1998). 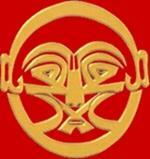 Alevi Identity: Cultural, Religious and Social Perspectives. Taylor & Francis. 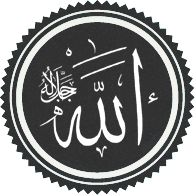 ^ University of Georgia, Islam and Islamic Studies Resources, Islamic Studies, Islam, Arabic, and Religion page of Dr. Godlas., "..Haji Bektash Veli is one of the most significant Anatolian (Turkish) Sufi saints..", http://islam.uga.edu/sufismorders.html#Bektashi. ^ Jestice, Phyllis (2004). Holy people of the world: a cross-cultural encyclopedia, Volume 1. ABC-CLIO. p. 113. ^ "Tirana". Retrieved 5 March 2015. ^ Massicard, Elise. The Alevis in Turkey and Europe: Identity and Managing Territorial Diversity. googlebooks.com (Google Books). Retrieved 5 June 2014. ^ Tore Kjeilen. "Alevi - LookLex Encyclopaedia". Retrieved 5 March 2015. ^ "Alevi İslam Din Hizmetleri Başkanlığı". Retrieved 5 March 2015. ^ "Erdogan, Iran, Syrian Alawites, and Turkish Alevis". The Weekly Standard. 2012-03-29. Retrieved 2012-11-22. ^ The Plain of Saints and Prophets: The Nusayri-Alawi Community of Cilicia ... - Gisela Procházka-Eisl, Stephan Procházka, Stephan Procházka - Google Břger. Books.google.dk. Retrieved 2012-11-22. ^ a b c Halm, H. "BĀṬENĪYA". Encyclopedia Iranica. Retrieved 1 May 2015. ^ "ABU’L-ḴAṬṬĀB ASADĪ". Retrieved 5 March 2015. ^ "ḴAṬṬĀBIYA". Retrieved 5 March 2015. ^ "ʿABDALLĀH B. MAYMŪN AL-QADDĀḤ". Retrieved 5 March 2015. ^ Both Muhammad ibn Āliyy’ūl Cillī and Maymūn ibn Abu’l-Qāsim’at-Tabarānī were the murids of Al-Khaṣībī, the founder of the Nusayri tariqat. ^ These and many other quotations may be found in John Shindeldecker's Turkish Alevis Today. ^ Kristina Kehl-Bordrogi reports this among the Tahtacı. See her article "The significance of müsahiplik among the Alevis" in Synchronistic Religious Communities in the Near East (co-edited by her, with B. Kellner-Heinkele & A. Otter-Beaujean), Brill 1997, p. 131 ff. ^ Krisztina Kehl-Bodrogi. 1988. Die Kizilbash/Aleviten, pp. 182-204. ^ See again "The significance of müsahiplik among the Alevis" in Synchronistic Religious Communities in the Near East (co-edited by her, with B. Kellner-Heinkele & A. Otter-Beaujean), Brill 1997, p. 131 ff. ^ Religious practices in the Turco-Iranian World, 2005. ^ See Martin Stokes' study. ^ Miller, Tracy, ed (October 2009). "Mapping the Global Muslim Population: A Report on the Size and Distribution of the World’s Muslim Population, Pew Research Center" (PDF). Retrieved 2009-10-08. ^ Karin Vorhoff. 1995. Zwischen Glaube, Nation und neuer Gemeinschaft: Alevitische Identitat in der Türkei der Gegenwart, pp. 95-96. ^ a b c d e f g h i j "THE ALEVI OF ANATOLIA". angelfire.com. Retrieved 27 June 2014. ^ "Turkey's Alevi strive for recognition". Asia Times Online. 18 February 2010. Retrieved 9 August 2011. ^ "Sabahat Akkiraz’dan Alevi raporu". haber.sol.org.tr. Retrieved 25 June 2014. ^ Structure and Function in Turkish Society. Isis Press, 2006, p. 81. ^ From his Turkish Alevis Today. ^ "The Alevi of Anatolia," 1995. ^ "Alevism " Hannah Arendt Center for Politics and Humanities". Retrieved 5 March 2015. ^ "Are Syrian Alawites and Turkish Alevis the Same?". Retrieved 5 March 2015. ^ Soner Cagaptay, The Rise of Turkey: The Twenty-First Century's First Muslim Power, p. 85. Date=? ^ Soner Cagaptay, The Rise of Turkey: The Twenty-First Century's First Muslim Power, p.90. Date=?, Publisher=? ^ Μποζανίνου Τάνια. "ΤΟ ΒΗΜΑ - Αλεβίτες, οι άγνωστοι "συγγενείς" μας - κόσμος". Tovima.gr. Retrieved 2012-11-22. 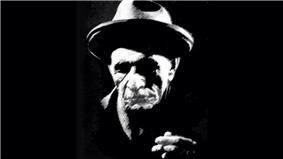 Alevis have a significant role in Turkish music and poetry. Pir Sultan Abdal, a 16th-century Alevi poet whose poems and songs often contain spiritual themes, is revered as a saint and hero. Important figures are the Sufi poet Yunus Emre, widely regarded as having been Alevi, and Kaygusuz Abdal. Their poems shape Turkish culture up to now, and are also performed by modern artists. Songs attributed to these poets have been embraced by left-wingers in the 20th century. The aşık bards are also influenced by Alevi tradition. The âyîn-î-cem can be heard on the JVC CD Turkey - An Esoteric Sufi Ceremony. Unfortunately for non-specialists, the notes are very vague and give no indication of location, performers, musical genres or poetic forms. The recording was made in Istanbul in 1993, and the ceremony includes in an order typical of a cem : a deyiş that reiterates the line of descent of the sect in a historical framework, two düvaz (one based on the poetry of Hatâ'î, and the other on the poetry of Kul Himmet), prayer formulas, the ill-Âllâh genre that incorporates the tahlîl formula into the poem to create an atmosphere of zikr while sect members create rhythmic intensity by hitting their knees in time to the music and sway their bodies slightly, the Dance of the Forty (Kırklar Semah), the Dance of the Cranes (Turnalar Semahı) and prayer formulas. The tomb of Ruhi Su at Zincirlikuyu Mezarlığı in Istanbul. The dances are performed with dignity by couples, and choreographies employ circle and line formations as well as arrangements where couples face one another, thus synchronizing their movements more closely. As the tempo of the music increases, the figures become more complex and intense. There are many regional variants of sema, but the most widespread and important are the Dance of the Forty (Kırklar Semahı) and the Dance of the Cranes (Turnalar Semahı). 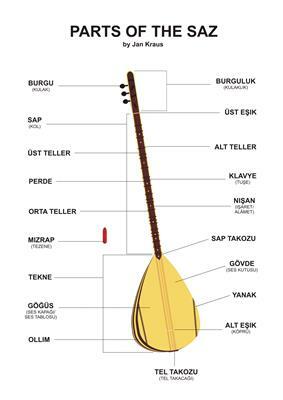 Such music is performed by specialists known as zâkir, aşık, sazende or güvende, depending on regional usage. They are recruited from Alevi communities and descended from dede lineages. Many are also known to be poet/minstrels (aşık, ozan) who perpetuate the tradition of dervish-lodge (tekke) poets such as Yunus Emre (13th century), Nesîmî (14th century), Pir Sultan Abdal, Hatâ'î and Genç Abdal (16th century) and Kul Himmet and Kul Hüseyn (17th century). The poetry was composed in the Turkish vernacular and follows the principles of folk prosody known as hece vezne in which the focus is the number of syllables. Alevi religious services, referred to collectively as cem or âyîn, include spiritual exercises that incorporate elements of zikr ("remembrance" or recitation of God's names, in this case without controlled breathing, but with some elements of body posturing) and sema (ritual dance). The latter is accompanied by sung mystical poetry in the vernacular, and by the sacred ritual instrument known as bağlama or saz (a plucked folk lute with frets). The Kizilbash (red-heads) were Turkmen tribes who adhered to the Safavid Sufi Order, whose Sheikhs claimed descent from Ali. Under Isma`il (d. 1524) they became dominant in Eastern Anatolia and conquered Azerbaijan with its capital Tabriz, where Isma`il named himself Shah in 1501 and went on to conquer all of Iran. His missionaries spread a message of revolt against the Sunni Ottomans in Anatolia, claiming that Isma`il was the awaited mahdi (messiah), and Anatolia became the scene of protracted warfare between Ottomans and Safavids. 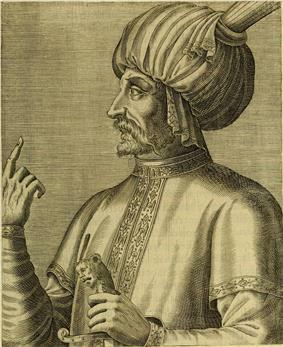 Shah Ismail I, the Sheikh of the Safavi tariqa, founder of the Safavid Dynasty of Iran, and the Commander-in-chief of the Kızılbaş armies. Cenotaph for the Bektashi dervish Gül Baba at his türbe in Buda. The Bektashi Order is a Sufi order and shares much in common with other Islamic mystical movements, such as the need for an experienced spiritual guide — called a baba in Bektashi parlance — as well as the doctrine of "the four gates that must be traversed": the "Sharia" (religious law), "Tariqah" (the spiritual path), "Marifa" (true knowledge), "Haqiqah" (truth). The Bektashiyyah is a Shia Sufi order founded in the 13th century by Haji Bektash Veli, a dervish who escaped Central Asia and found refuge with the Seljuks in Anatolia at the time of the Mongol invasions (1219–23). This order gained a great following in rural areas and it later developed in two branches: the Celebi clan, who claimed to be physical descendants of Haji Bektash Veli, were called Bel evladları (children of the loins), and became the hereditary spiritual leaders of the rural Alevis; and the Babağan, those faithful to the path (yol evladları - children of the way) who dominated the official Bektashi Sufi order with its elected leadership. The fourth is said to be under active influence from official Iranian Shi'a to be confirmed adherents to Twelver and to reject Bektashism and folk religion. It follows Sharia and opposes secular state power. The third group regards themselves as true Muslims and are prepared to cooperate with the state. It adheres to the way of Jafar as-Sadiq, the sixth Imam. Its concept of God is closer to that of orthodox Islam, but like the two groups already mentioned it considers the Quran to have been manipulated by the early Sunni Caliphs in order to eliminate Ali. The second group of people, who adopted some aspirations of Christian mysticism, is more directed towards heterodox mysticism and stands closer to the Hajji Bektashi Brotherhood. According to the philosophy developed by this very last group of congregation, Christian mystic St Francis of Assisi and Hindu Mahatma Gandhi are being supposedly considered as better believers of God than those of Muslims as it should expectedly be in that manner, since the concept of God in Islam has already been embodied by the supreme authority of Allah. The first congregation is mainly represented by the urban area population and emerged during the period of the Republic of Turkey. For many decades, this group of people belonged to the political left and presumed the Aleviness just as an outlook on the individual human life rather than a religious conviction by persistently renouncing the ties of the Batiniyya-Alevism with Twelver political branch of Shia Islam. The followers of this congregation, who later turned out to be the very stern defenders of the Erdoğan Çınar hold ritual unions of a religious character and have established cultural associations named after Pir Sultan Abdal as well. According to their philosophy, human being should enjoy a central role reminiscent of the doctrine of Khurramites, and as illustrated by Hurufi phrase of God is Man quoted above in the context of the Trinity. A Turkish scholar working in France has distinguished four main groups among contemporary Alevis, which cautiously show their distinctive features in modern Turkey. 12,521,000 according to Sabahat Akkiraz, a MP from CHP. "approx. 15 million..." —Krisztina Kehl-Bodrogi. "Most Alevi writers and spokespersons claim that Turkey's population today is one-third Alevi-Bektashi, or more than 20 million. Lower estimates range from 10 to 12 million. "—John Schindeldecker. "The Alevi constitute the second-largest religious community in Turkey (following the Sunnis), and number some 25% (15 million) of the total population (Alevis claim 30%–40%). Most (?) Alevis are ethnic and linguistic Turks, mainly of Turkmen descent from Central and Eastern Anatolia. Some 20% of Alevis are Kurds (though most Kurds are Sunni), and some 25% of Kurds in Turkey are Alevi (Kurmanji and Zaza speakers)." —David Zeidan. "15 to 20 million..." —Olli Rehn, from the 1996 (Camiel) "Eurlings Report" to the European Commission (on the suitability of Turkish accession to the EU). "...a world total of between 15 and 25 million adherents. There is no independent data for their numbers, so these statistics are estimates or conjectures." —"Alevism," from The Encyclopedia of the Orient. In June 2008, several Turkish newspapers reported that the Turkish military had commissioned three universities to research the ethnic demography of Turkey. The study was done in 2000 and included all ethnic groupings. According to the results, the Alevi population of Turkey, including those who currently reside in Europe, is around 10 million. Conglomeration of syncretic beliefs: A wide variety of academic sources define Alevism as a  According to Turkish university research conducted in 2005 by a researcher named Soner Cagaptay, 44% of respondents who called themselves "Alevis" self-identify as Muslim and 56% do not. Nevertheless, one should be aware of the fact that the university survey which was conducted at a specific location may not reflect the accurate results all the time, and there exists a high probability that the group who had been surveyed might belong to the non-Muslim Ishikists. Moreover, one should always bear in mind that some members of the non-muslim communities like Kurdish Yâresân (Ahl-i Haqq) and Ishik-Alevis define/identify themselves under the title of Alawism as well. Henceforth, it is always possible either to enlarge or to shrink the borders of the Alevism with respect to which of these definitions are going to be used. Alevis have been subjected to persecution (often deadly) for centuries. Due to this fact, some have been assimilated. It is not clear how effective the above study is in including those who might be more timid about advertising their Alevi origins. Some of the Kurdish Alevis speak Kurmanji or Zazaki. Some Alevis are Azeris. Despite universalist rhetoric and in contrast with Islam in general, or the Bektashi order, Alevi communities do not generally acknowledge the possibility of conversion to Aleviness. Alevi communities are concentrated in central Anatolia, in a belt from Çorum in the west to Muş in the east. The only province within Turkey with an Alevi majority is Tunceli, formerly known as Dersim. Beginning in the 1960s, many Alevis have migrated to the large cities of western and southern Turkey—and to western Europe, especially Germany—and are now heavily urbanized. Besides, there is a native 3000 Alevi community in Western Thrace at the territory of Greece. Distribution of Alevi population in Turkey. The size of the Alevi population is likewise disputed, but most estimates place them somewhere between 15 to 20 million people, primarily in Turkey. The Ottomans had accepted Sunni Islam in the 13th century as a means to unifying their empire, and later proclaimed themselves its defenders against the Safavid Shia state and related heretical sects. This created a gap between the Sunni Ottoman ruling elite and the Alevi Anatolian population. Anatolia became a battlefield between Safavids and Ottomans, each determined to include it in their Empire. During the great Turkish expansion from Central Asia into Iran and Anatolia in the Seljuk period (11-12th centuries), Turkmen nomad tribes accepted a Sufi and pro-Ali form of Islam that co-existed with some of their pre-Islamic customs. These tribes dominated central and eastern Anatolia for centuries with their religious warriors (ghazi) spearheading the drive against Byzantines and Slavs. Many Armenians converted to Turkmen type Islam while retaining some Christian practices, and some observers believe that heterodox Armenian Christianity exerted a significant influence on the beliefs of the extremist Shi`ite sects. 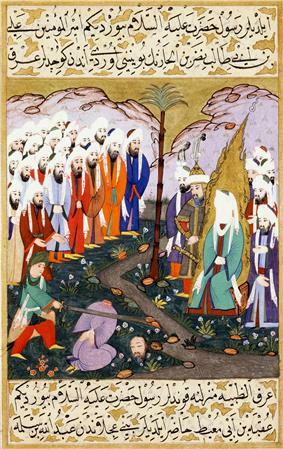 Ali with his Zulfiqar beheading Nadr ibn al-Harith in the presence of the Prophet Muhammad. 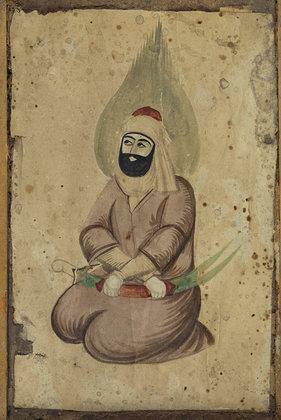 (Ottoman Miniature, 16th century, taken from Siyer-i Nebi). They believe that major additions had been implemented during the time of Ummayads, and refuse what they believe it contradicts the holy book of Islam, namely the Qu'ran. Regular daily salat and fasting in the holy month of Ramadan are officially not a part of Alevism. 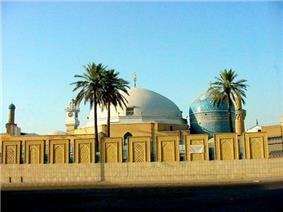 Some sub-groups like Ishikists and Bektashis, who claim to be Alevis neither comprehend the essence of the regular daily salat and fasting in the holy month of Ramadan that is frequently accentuated at many times in Quran, nor admits that these principles constitute the ineluctable foundations of the Dīn of Islam as they had been laid down by Allah and they had been in practise in an uninterruptible manner during the period of Muhammad. Qizilbash and Bektashi tariqah shared common religious beliefs and practices becoming intermingled as Alevis in spite of many local variations. Isolated from both the Sunni Ottomans and the Twelver Shi`a Safavids, Alevis developed traditions, practices, and doctrines by the early 17th century which marked them as a closed autonomous religious community. As a result of the immense pressures to conform to Sunni Islam, Alevis developed a tradition of opposition to all forms of external religion. Some of the differences that mark Alevis from Sunnis are the use of wine for religious ceremonial functions; non-observance of the five daily prayers and prostrations (they only bow twice in the presence of their spiritual leader), Ramadan, and the Hajj (they consider the pilgrimage to Mecca an external pretense, the real pilgrimage being internal in one's heart); and non-attendance of mosques. In today's political arena Alevis see themselves as a counterforce to the Sunnis in Turkey. Alevis, who have a great interest in blocking the rising Sunni influence, are the main allies of the "secularists", and are also searching for alliances with a select group of Sunnis against the "extremists." They are demanding that the state recognize Aleviness as an official Islamic community equal to, but different from, Sunnism. As yet the Presidency of Religious Affairs (Diyanet) allegedly represents and promotes Sunni Islam based on the Hanafi school of law, but does not recognise Alevis. Alevis traditionally saw themselves as belonging to the "community of the saved", a chosen people who possess the divine secret knowledge and are allegedly superior to the "misled" Sunnis in their zeal for externals. They trace their roots to the original true revelation of Islam to Muhammad in Arabia, and stress that it was a religion of freedom, equality, and justice. They profess that Ali is Muhammad's only true successor and the most perfect of Muslims carried on true Islam and was the representative of the poor and the marginalised. All great Alevi leaders have the typical Alevi characteristics of justice, egalitarianism, humility, and peacefulness. They all were revolutionaries aiming at radical change in society, loyal to ideals, fighting for the final triumph of good over evil. According to the Alevis, good Alevism was forced to an underground existence of dissimulation and retreat due to a powerful onslaught of evil. Alevis use Sunnism as the "Other", the opposite pole to Alevism, by which they identify themselves. The Alevis claim that they have kept Islam in its pure form, fulfilling his demands for moral purity, love of humanity, and faith in one God, and only they can claim to be the "true Islam." Alevis see themselves in contrast to Sunnis as tolerant and not aggressive xenophobic chauvinists. Sunni nationalism is seen as intolerant, domineering, unwilling to recognise Alevi uniqueness. Alevis see Sunni mentality as originating in Arabia and as contrary to "the Turkish national character." Some Alevis claim sunnah and hadith were Arab elite innovations, created to ensure Arab dominance of Islam and to enslave the masses through manipulation. Sunnism, according to the Alevis, is not true Islam but an aberration that by its nomianism allegedly opposes independent thought and is seen as reactionary, bigoted, fanatic, and antidemocratic. Alevis claim that Sunni nationalism is intolerant, domineering, and unwilling to recognize Alevi "uniqueness." The relationship between Alevis and Sunnis is one of mutual suspicion and prejudice dating back to the Ottoman period. Sunnis have accused Alevis of heresy, heterodoxy, rebellion, betrayal and immorality. Alevis, on the other hand, have argued that the Quran does not demand five prayers, nor mosque attendance, nor pilgrimage, and that the Sunnis distorted early Islam by omitting, misinterpreting, or changing the meaning of verses from the Quran with fabricated hadith, especially those dealing with Ali and ritual practice. 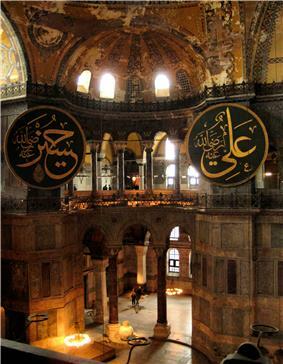 Ali ibn Abu Talib at right and Husayn ibn Ali at left in Hagia Sophia. Hasan ibn Ali in Hagia Sophia. Husayn ibn Ali in Hagia Sophia. There is some tension between folk tradition Aleviness and the Bektashi Order, which is a Sufi order founded on Alevi beliefs. In certain Turkish communities other Sufi orders ( the Halveti-Jerrahi and some of the Rifa'i) have incorporated significant Alevi influence. Despite this essentially Shi‘i orientation, much of Aleviness' mystical language is inspired by Sufi traditions. 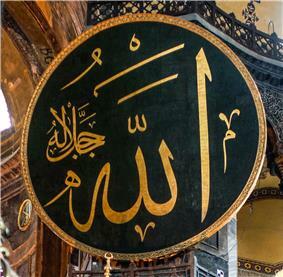 For example, the Alevi concept of God is derived from the philosophy of Ibn Arabi and involves a chain of emanation from God, to spiritual man, earthly man, animals, plants, and minerals. The goal of spiritual life is to follow this path in the reverse direction, to unity with God, or Haqq (Reality, Truth). From the highest perspective, all is God (see Wahdat-ul-Wujood). Alevis admire Mansur Al-Hallaj, a 10th-century Sufi who was accused of blasphemy and subsequently executed in Baghdad for saying "I am the Truth" (Ana al-Haqq). Alevis are classified as a sect of Shia Islam, as Alevis accept Twelver Shi‘a beliefs about Ali and the Twelve Imams, and Ayatollah Ruhollah Khomeini decreed Alevis to be part of the Shia fold in the 1970s. There are, however, Alevi philosophies, customs, and rituals that are appreciably different than those of Twelver Shias in Iraq and Iran. According to more orthodox Sunni Muslims, Alevis are labeled as "ghulat" groups, since Alevis praise Ali beyond what mainstream Muslims would expect. He and Muhammad are likened to the two sides of a coin, or the two halves of an apple. According to Kilic, while rural Alevi women subscribe to traditional conservative views about women's status in the family, these ideas are rapidly changing within an urban environment. Alevi women are not required to wear a headscarf or other bodily coverings. According to Kilic this is because Alevi identity is very much focused on the internal rather than the external representation and covering women's hair or concealing the female body in and of itself cannot legitimize women's moral, social, political and economic worth. Thus an unveiled Alevi woman cannot impugn her honour or her communities'. Thus Alevi women's bodies are what Kilic calls paradoxically 'neutral' and acts as an "ideology of difference." In the view of Australian anthropologist Dr. Sevgi Kilic, while Alevi women do not experience gender segregation in the private and public domain they are subject to traditional male values about women's sexuality and constructed within the honor/shame paradigm. This ethnography is the first on Alevi women in Turkey and argues that Alevi identity is complex, diverse and rich in its theory and practice. According to John Shindeldecker "Alevis are proud to point out that they are monogamous, Alevi women worship together with men, Alevi women are free to dress in modern clothing, Alevi women are encouraged to get the best education they can, and Alevi women are free to go into any occupation they choose. In the wake of 20th century urbanization (which removed young laborers from the villages) and socialist influence (which looked upon the Dedes with suspicion), the old hierarchy has largely broken down. Many Dedes now receive salaries from Alevi cultural centers, which arguably subordinates their role. Such centers no longer feature community business or deliberation, such as the old ritual of reconciliation, but emphasize musical and dance performance to the exclusion of these. Dedes are now approached on a voluntary basis, and their role has become more circumscribed—limited to religious rituals, research, and giving advice. Ordinary Alevi would owe allegiance to a particular dede lineage (but not others) on the basis of pre-existing family or village relations. Some fall instead under the authority of Bektashi dargah (lodges). Traditionally Dedes did not merely lead rituals, but led their communities, often in conjunction with local notables such as the ağas (large landowners) of the Dersim Region. They also acted as judges or arbiters, presiding over village courts called Düşkünlük Meydanı. Alevi leaders are variously called murshid, pir, rehber or dede. Groups that conceive of these as ranks of a hierarchy (as in the Bektashi tariqa) disagree as to the order. The last of these, dede "grandfather", is the term preferred by the scholarly literature. Ocakzades may attain to the position of dede on the basis of selection (by a father from among several sons), character, and learning. In contrast to Alevi rhetoric on the equality of the sexes, it is generally assumed that only males may fill such leadership roles. In contrast to the Bektashi tariqa, which like other Sufi orders is based on a silsila "initiatory chain or lineage" of teachers and their students, Alevi leaders succeed to their role on the basis of family descent. Perhaps ten percent of Alevis belong to a religious elite called ocak "hearth", indicating descent from Ali and/or various other saints and heroes. Ocak members are called ocakzades or "sons of the hearth". This system apparently originated with Safavid Persia. Alevis are not expected to give Zakat in the Orthodox-Islamic mode, and there is no set formula or prescribed amount for charity like Sunnism (2,5%). Rather, they are expected to give the 'excess' according to Qur'an verse 2:219. A common method of Alevi almsgiving is through donating food (especially sacrificial animals) to be shared with worshippers and guests. Alevis also donate money to be used to help the poor, to support the religious, educational and cultural activities of Alevi centers and organizations (dergâh, vakıf, dernek), and to provide scholarships for students. Some Alevis make pilgrimages to mountains and other natural sites believed to be imbued with holiness. In contrast with the traditional secrecy of the Cem ceremony ritual, the events at these cultural centers and sites are open to the public. In the case of the Hacibektaş celebration, since 1990 the activities there have been taken over by Turkey's Ministry of Culture in the interest of promoting tourism and Turkish patriotism rather than Alevi spirituality. While some Alevis do not recognize an obligation to go on pilgrimage to Mecca (and some do, but not according to Sunni orthodox rituals), performing ziyarat and du'a at the tombs of Alevi-Bektashi saints or pirs is quite common. Some of the most frequently visited sites are the shrines of Şahkulu and Karacaahmet (both in Istanbul), Abdal Musa (Antalya), Battal Gazi (Eskişehir), the annual celebrations held at Hacıbektaş (16 August) and Sivas (the Pir Sultan Abdal Kültür Etkinlikleri, 23–24 June). 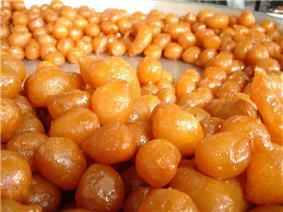 It's a common Alevi-Sunni tradition to distribute lokma publicly in Turkey. Other, similar practices include kissing door frames of holy rooms; not stepping on the threshold of holy buildings; seeking prayers from reputed healers; and making lokma and sharing it with others. ...a long list of ‘superstitious’ practices that are emphatically declared to be non-Islamic and objectionable, such as lighting candles or placing ‘wishing stones’ on the tomb, tying pieces of cloth to the shrine or to the trees in front of it, throwing money on the tomb, asking the dead directly for help, circling seven times around the trees in the courtyard or pressing one’s face against the walls of the türbe in the hope of a supernatural cure, tying beads to the shrine and expecting supernatural support from them, sacrificing roosters or turkeys as a vow to the shrine. The list is probably an inventory of common local practices the authorities wish to prevent from re-emerging. 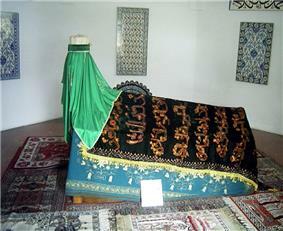 The tomb of Abu Ayyub al-Ansari is a place of ziyarat at the Eyüp Sultan Mosque in Eyüp, Istanbul. 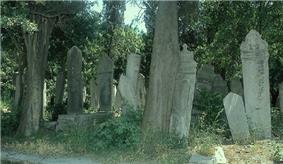 Karacaahmet Cemetery in Istanbul, Turkey. The value corresponding to the second gate (and necessary to enter the third) is âşinalık ("intimacy," perhaps with God). Its counterpart for the third gate is called peşinelik; for the fourth gate (hâkikat, Ultimate Truth), cıngıldaşlık or cengildeşlik (translations uncertain). Krisztina Kehl-Bodrogi reports that the Tahtacı identify müsahiplik with the first gate (şeriat), since they regard it as a precondition for the second (tarikat). Those who attain to the third gate (marifat, "gnosis") must have been in a müsahiplik relationship for at least twelve years. Entry into the third gate dissolves the müsahiplik relationship (which otherwise persists unto death), in a ceremony called Öz Verme Âyini ("ceremony of giving up the self"). Müsahiplik (roughly, "Companionship") is a covenant relationship between two men of the same age, preferably along with their wives. In a ceremony in the presence of a dede the partners make a lifelong commitment to care for the spiritual, emotional, and physical needs of each other and their children. The ties between couples who have made this commitment is at least as strong as it is for blood relatives, so much so that müsahiplik is often called spiritual brotherhood (manevi kardeşlik). The children of covenanted couples may not marry.